Perfect for relaxation and close to central Winchester and restuarants. Styled for visitors seeking a stylish or romantic bolthole, a place to enjoy some relaxation time and from where to visit the delights of Winchester. Perfect for the traveler who wants to relax and chill at the end of the day, a book by a log fire, a glass of wine, or watch the sun go down in the courtyard garden. It's just a short walk to the centre of the city with its award winning restaurants and pubs, nestled around the oldest High Street in England. Close by you have the Cathedral and beautiful walks through the Water Meadows where Keats was inspired to write 'Ode To Autumn'. You have space for dining and for entertaining colleagues and friends, there is a fully equipped kitchen to simply do your own thing, or should you wish our caterers can make any arrangements you need. There is a candle lit steam room to indulge in, gentle underfloor heating with oak and limestone floors, art on the walls, fine linen and robes in the bathroom, a Jetmaster open fire with seasoned logs supplied. There is Wi-Fi for your laptop, or should you wish entertainment with Sky (all the movie and sports channels), a comprehensive DVD collection, champagne or wine, handmade chocolates and a fine malt in the study, all complimentary with your stay. Stroll into the courtyard and find the stone, cut over a 1000 years ago, part of a mullioned window of Hyde Abbey, the resting place of King Alfred The Great whose bones are now thought to be buried in the local churchyard of St Bartholomew's. I am a scientist working part time at Great Ormond Street Hospital for Children in London. I have stayed in villas, cottages, hotels and apartments in some diverse places. For me, it is how a place makes you feel when you walk in, explore it and stay a while. Hang Your Hat is like a warm embrace, welcoming and friendly. Well equipped and cared for. Just what I would have liked to have found in the many places I have stayed around the UK and abroad. It provides this in an honest and unpretentious manner.. a place to simply Hang My Hat. I love old buildings, they have a character and charm, a patina of history, that you cannot just create. It is a beautiful brick and flint brewery workers cottage built in the early years of Queen Victoria's reign, 1843. For a small cottage it has a tremendous sense of space with a magical courtyard garden. It is in a quiet street in one of the oldest parishes of the city and yet just a short walk into the centre of town. Even nearer are two great pubs The Hyde Tavern and Mucky Duck, fantastic walks, a Theatre, a Library and the train station to London. It ticked all the boxes. Somewhere to feel at home. Imagine your own private suite, as if in your own private hotel. The warmth of an open fire, or the steam room, or to sit out in the courtyard garden and enjoy the evening air. The study can provide a close-by separate space for baby (up to 12 months). Ideal for a getaway break. Highchair available. Hamam styled steamroom and shower. Underfloor heated mosaic floor. Heated towel rail. Candles. Mirror with sensor light. Dimmer switch. We have permit street parking, extensive parking at the end of the close, whichever is preferred. Luxury toweling and bath robes. Open fire, two sofas with Moroccan silk throws, 19thC Chinese rosewood side table, oak table and chair, art collection. Table and chairs are made from Beach wood, napkins and place mats supplied. Roberts sound system with iPod dock. Good selection of books in the study..help yourself to a fine malt while you browse! Well stocked garden with an upper patio level...a veritable sun trap. Beautiful courtyard garden, very private, overhung by apple trees. Steam room within the bathroom. The little cottage oozes charm. Full of light in the summer, cosy in the winter. Many unusual features to enjoy and savour a true romantic hideaway in one of England's great cities. A lovely cosy cottage, beautifully furnished to a very high standard. A superb private courtyard for al fresco dining. Luxurious shower and steam room. Private comfortable study/reading room. Excellent in all aspects and only 10 mins from city centre. All around, excellent. Perfect location too! bed available the guest room that is not pictured. Garden and terrace are amazing. Kitchen is perfectly stocked. Coffee. Mike has thought of every detail. And the location. Literally a 5 minute walk to train station. Very close to town as well, maybe 7-8 minutes. Clean, quaint, quiet, well equipped and well positioned. 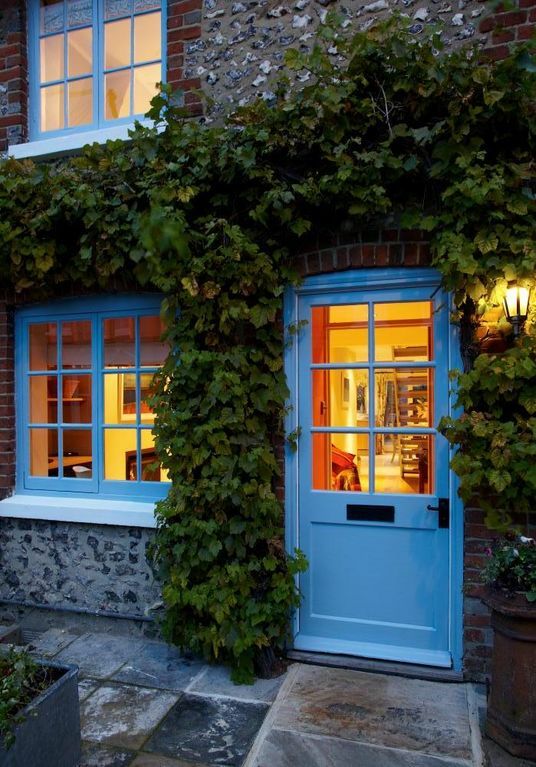 A delightful place to stay when seeking to explore Winchester and surrounding area. If you are looking to have a romantic getaway , to reconnect with your partner, or escape from the world to your own love nest, look no further than this cottage. Sharing nights by the roaring fire with your significant other, enjoying the one of a kind steam room and rainforest shower (bring your own eucalyptus oils for a true spa-like experience! ), or just drinking wine in the beautiful back garden at night looking up at the stars, there is truly nothing like this. It's cosy, it's romantic - it's like another world. No detail in the renovation has been spared with heated floors in the kitchen and heated towel rack in the bathroom, to the personal touch of bath robes as comfortable as any four star hotel. brought extra firewood when we'd used it all up (sorry, it was just too good not to light a fire every night!) and even stocked the fridge prior to arrival for essential items (the coffee is amazing, btw). Mike has various hats around the house - make sure to put them on and you'll guarantee to spend the night laughing. The cottage is within walking distance of the town of Winchester and the meadows where you can go on some great walks along the river and to the top of St Catherine's hill. The kitchen is well appointed with all modern appliances. The only reason not to give this rental 5 stars is the fear that it will no longer be the "undiscovered treasure" that it is. Come to escape the world and you will leave grounded, connected, refreshed and healed. This is truly a unique find. Both my fiancee and I were so excited to stay at Hang Your Hat in Winchester. Even though I am originally from Winchester, I hadn't been back in a while and we had 10 days to reacquaint ourselves with this wonderful city, using Nigel's cottage as our base. The champagne and chocolates on arrival were very gratefully received and marked an ideal start to our stay. We've stayed in many hotels around the world, but only Nigel's place truly felt like a 'home away from home.' We've never felt so welcomed by a host, as Nigel did. The cottage is littered with thoughtful touches and unique pieces of Winchester's history and the fireplace was perfect for evenings in front of the TV with a glass of wine or a tumbler of whisky. Even though this is a traditional fisherman's cottage, it didn't feel confined in any way. There is a sense of space in the living areas and the floating staircase up to the bedroom and study helps add to this. The kitchen was perfect for my needs; I cooked quite a few meals using the awesome induction hob and oven. The bathroom reminded me of being in the Middle East; the steam shower is a very cool feature and I only wish I had one at home now! All in all, we had a relaxing, memorable time here and wouldn't hesitate to either recommend it to friends and family or stay here again when we are next in Winchester. Everything about this place is worth 5 stars. Winchester Cathedral with the longest nave in Europe. King Alfred the Great's Round Table in the Great Hall. Jane Austen trail, she is buried in the Cathedral and lived closed by. Wolvesey Castle..the old Bishop's Palace. Sample the Wayfarer's Dole, a horn of ale and of morsel bread, which has been served for over 800 years to weary pilgrims on their route to Canterbury. Get up early and catch a sight of the deer and wild life along the Pilgrims Way. Chesil Rectory for lunch or dinner..a 600 year old Medieval house. The Wykeham Arms has been awarded the accolade of best pub in the country alongside numerous other awards. Explore the numerous restaurants and pubs in this ancient capital of England. All this and more is within walking distance of Hang Your Hat.